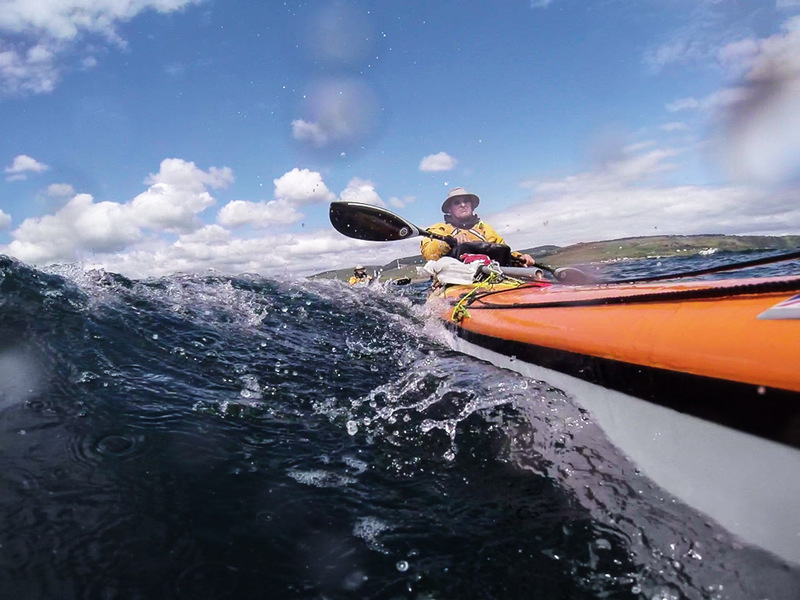 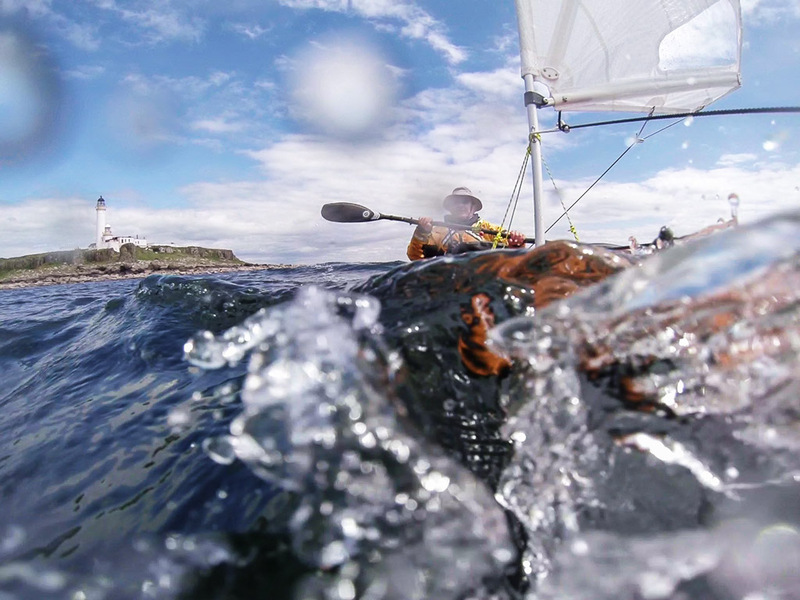 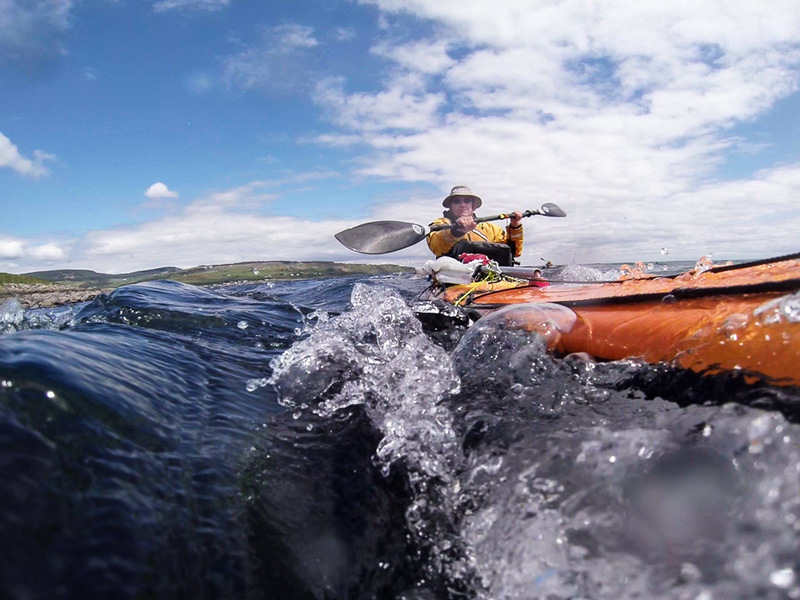 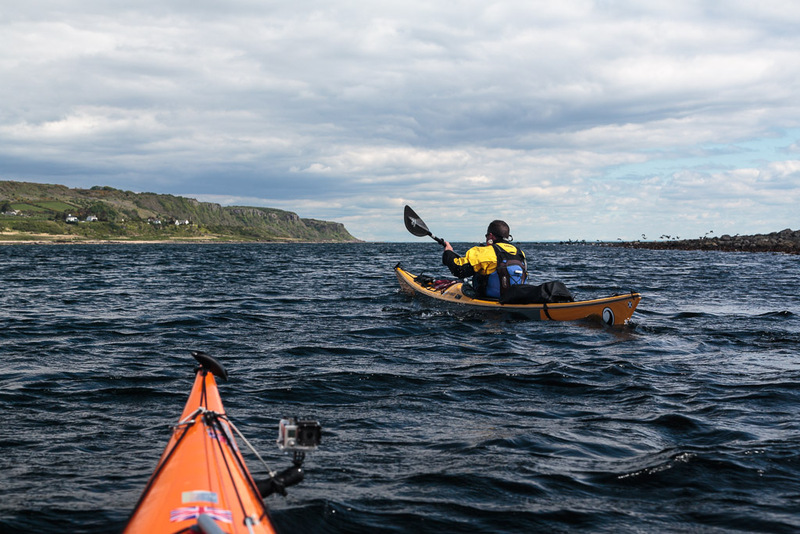 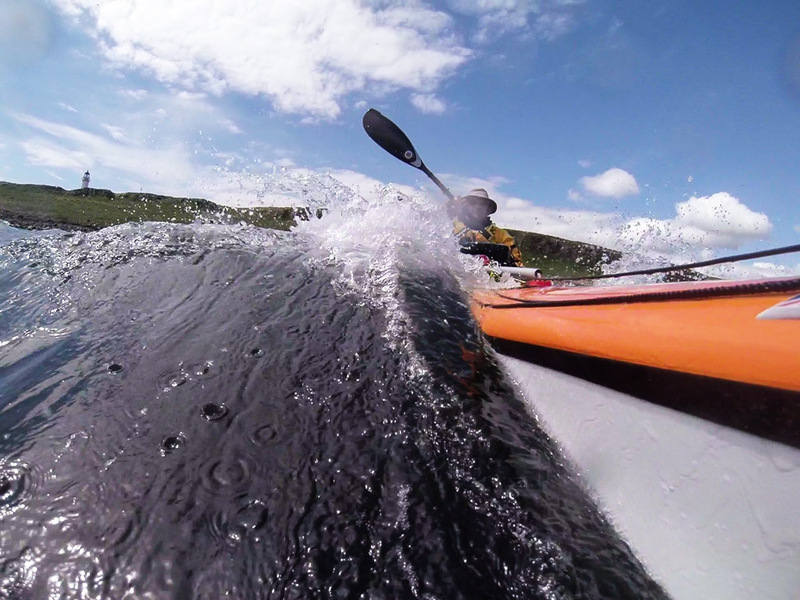 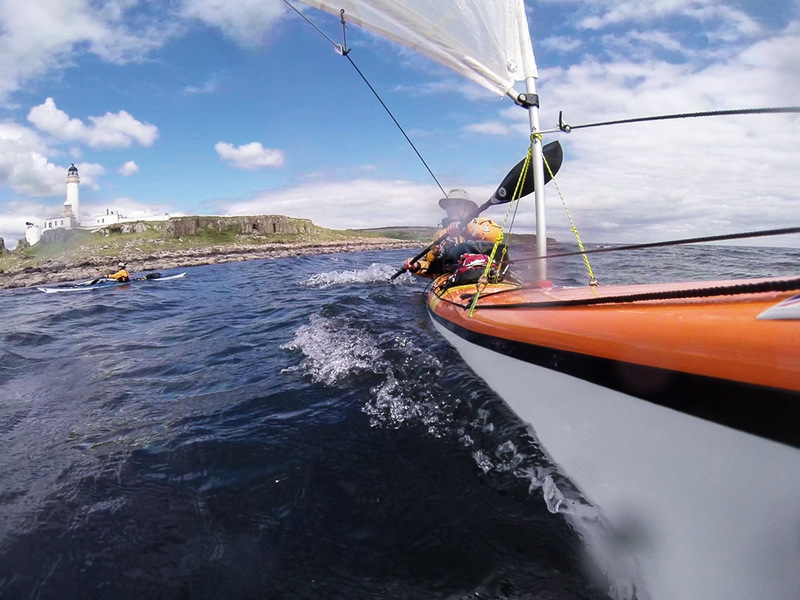 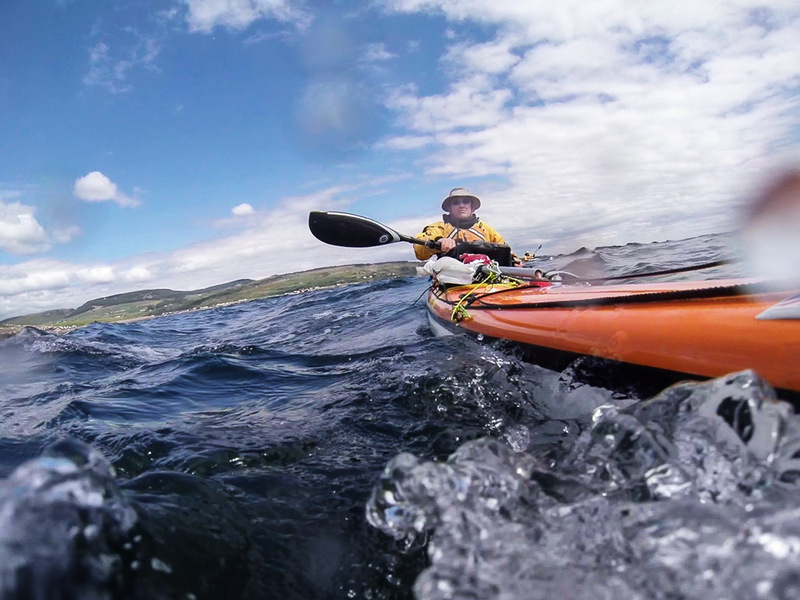 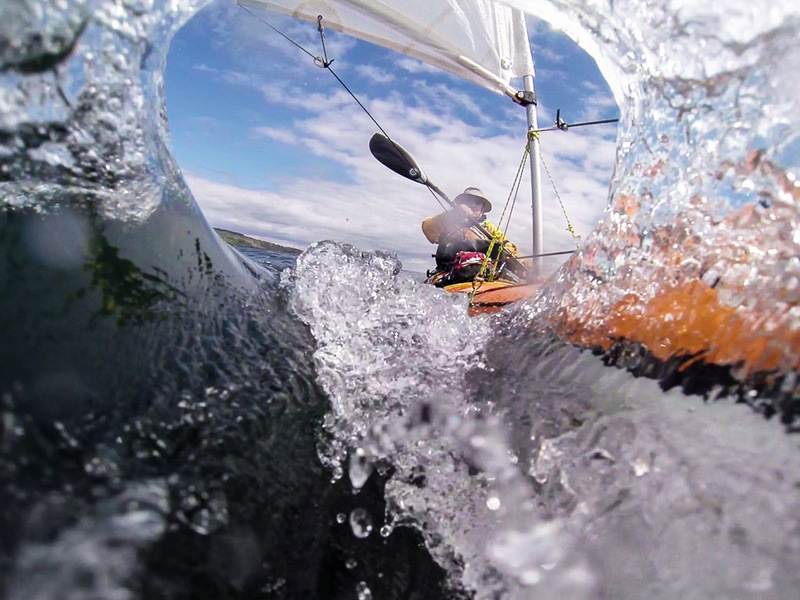 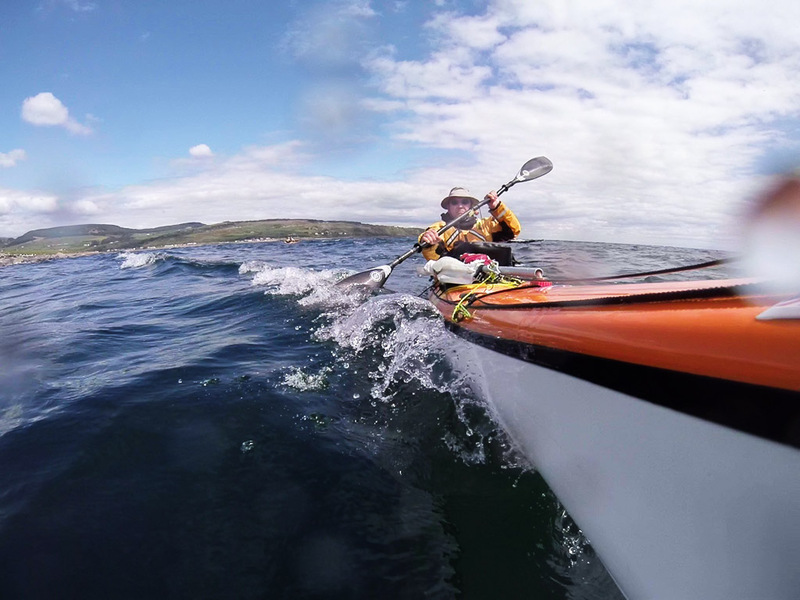 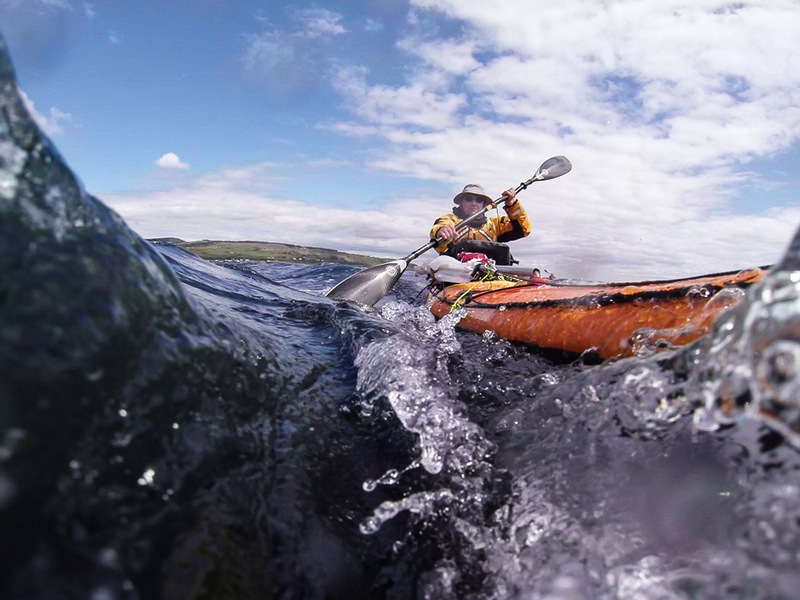 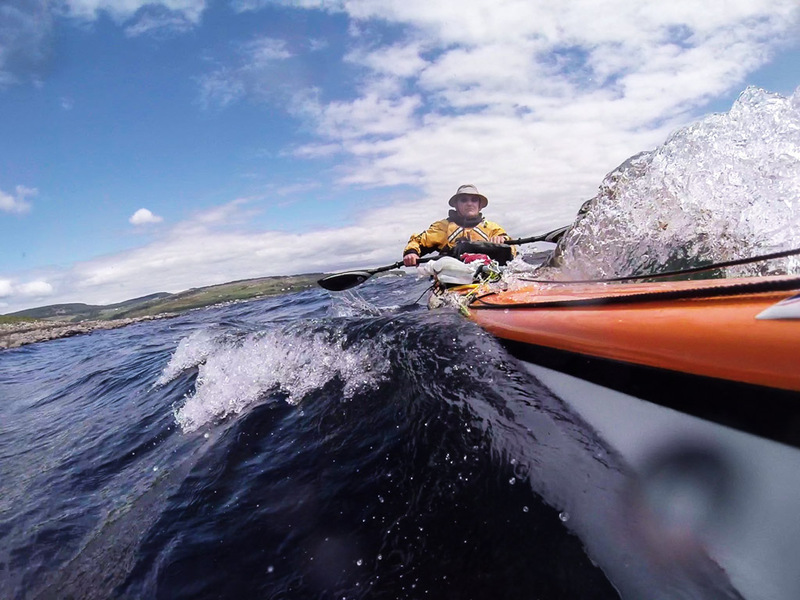 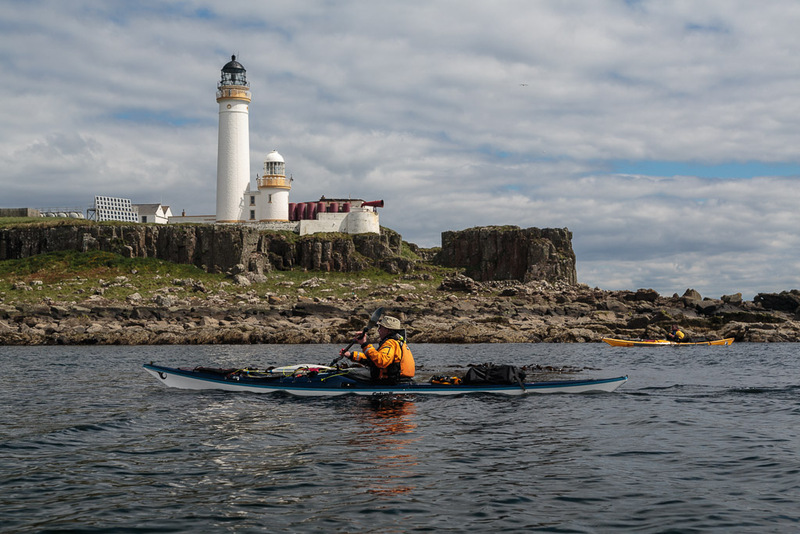 Planing a a fully loaded expedition sea kayak: paddle sailing through the Pladda tide race. 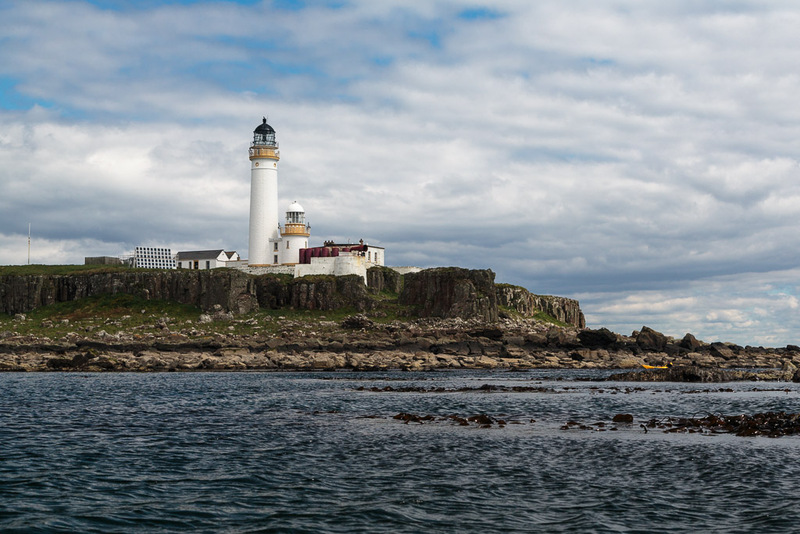 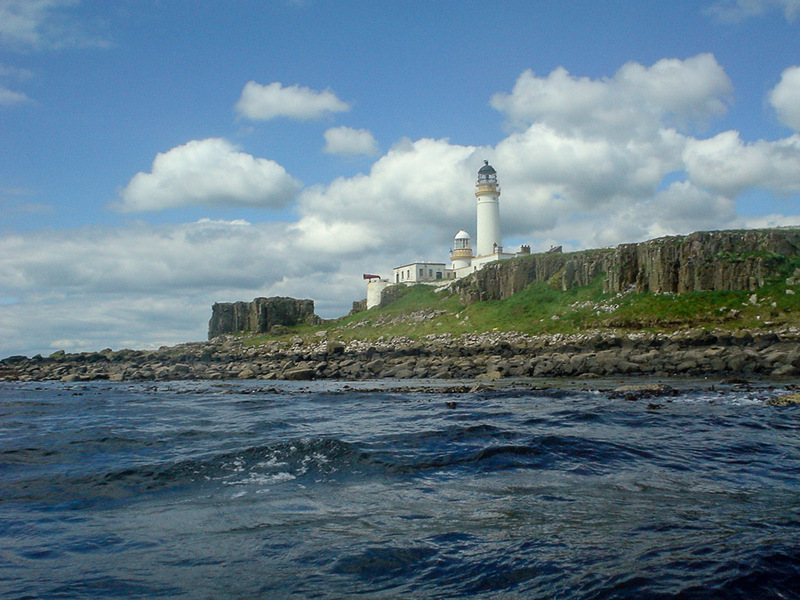 Once out of the harbour we turned SE to circumnavigate Pladda clockwise. 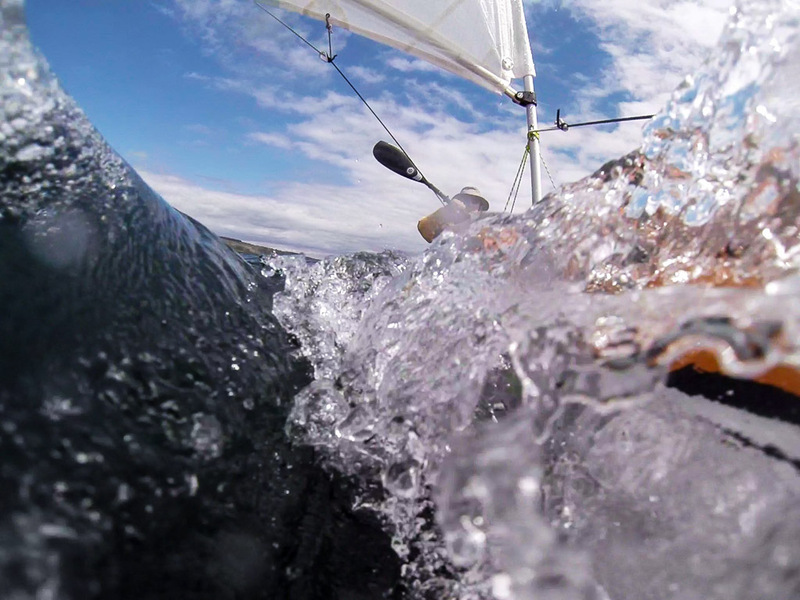 ....the water was still stirred up a bit. 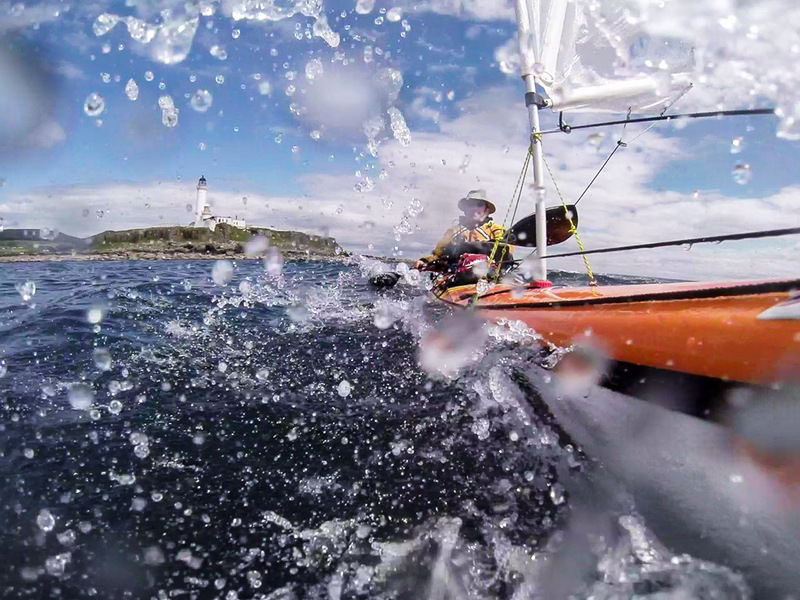 ...running diagonally down the waves. 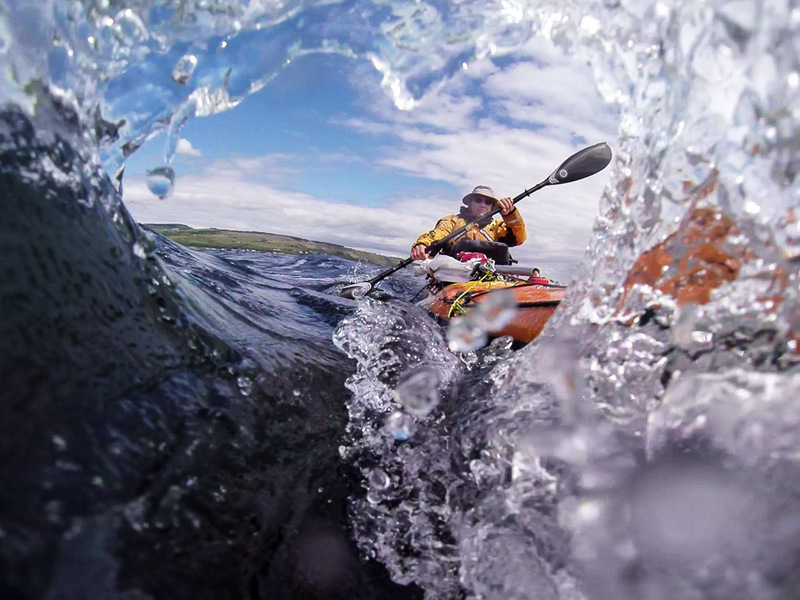 ...I just love sea kayaking. 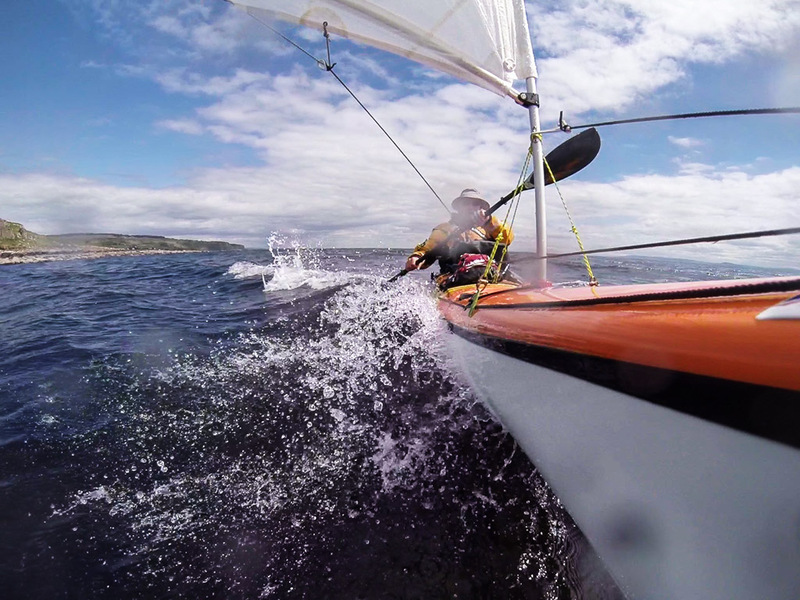 ...and the speed picked up even more. 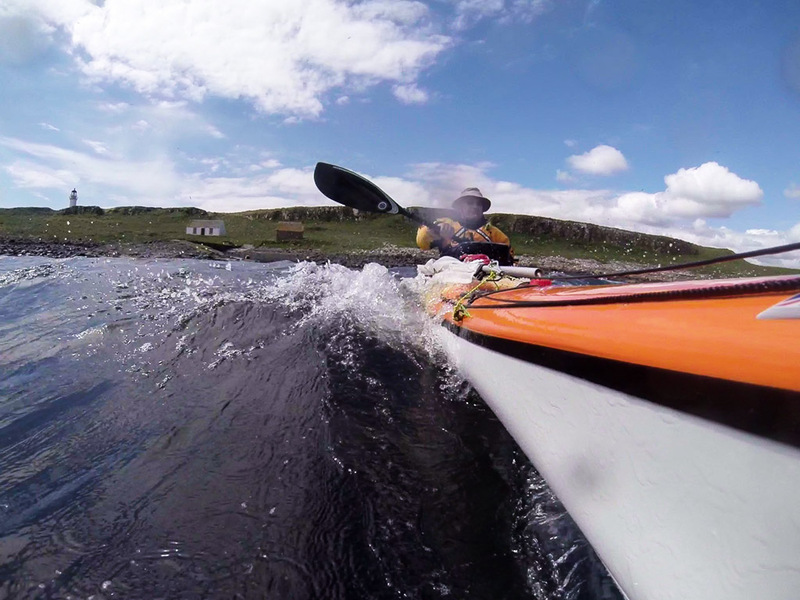 ....hundreds of meters at a time. 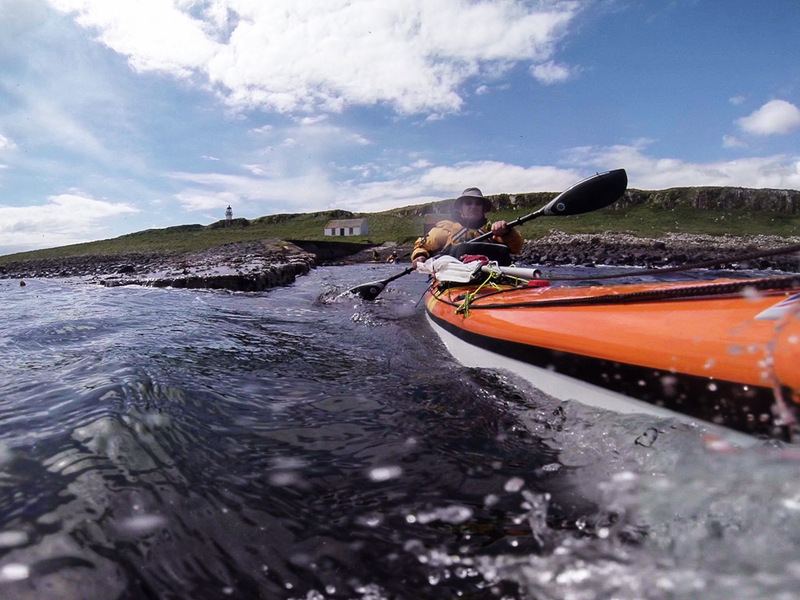 ...we broke out into the lee of Pladda. 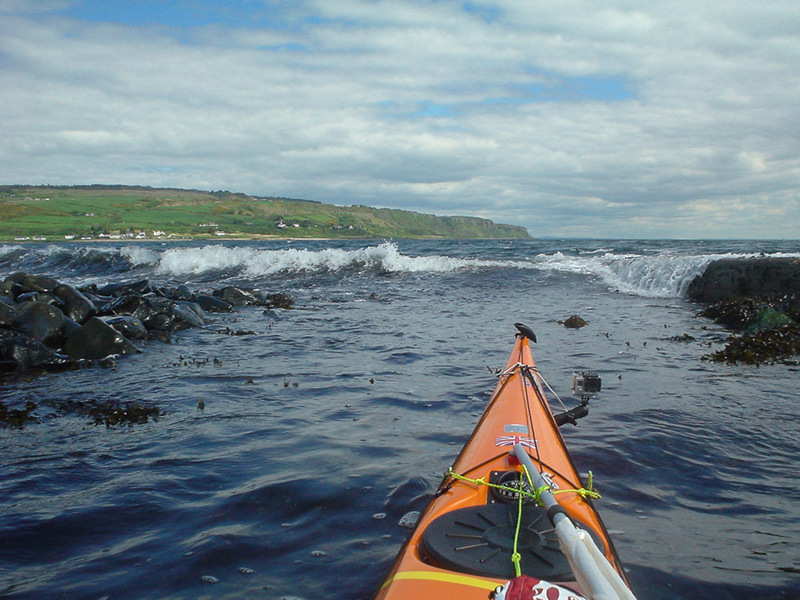 ...on a sandstone slab between basalt dykes on the Kildonan Shore of Arran. 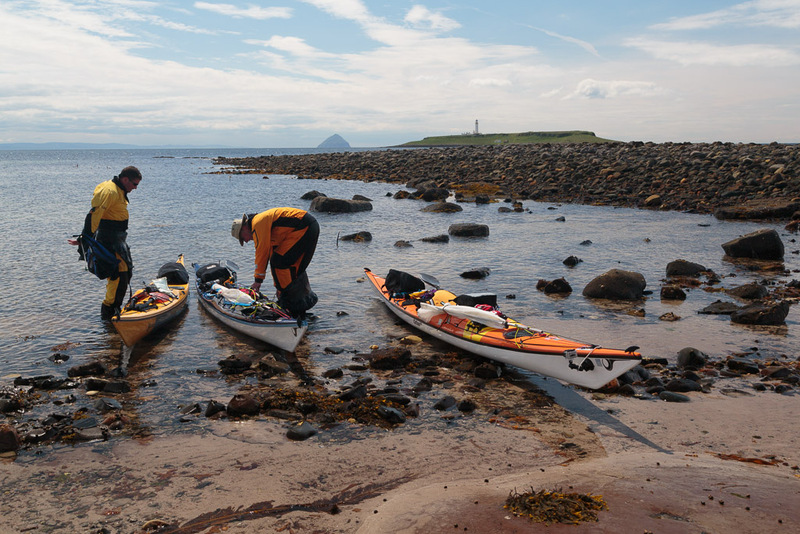 Time to do luncheon! 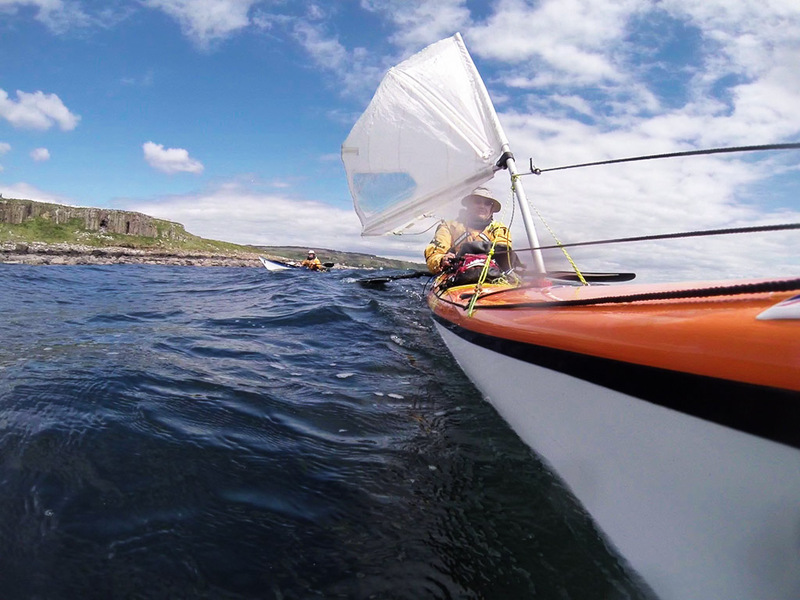 If you fancy expedition sea kayaking with a sail, we use Flat Earth Kayak Sails from Australia. 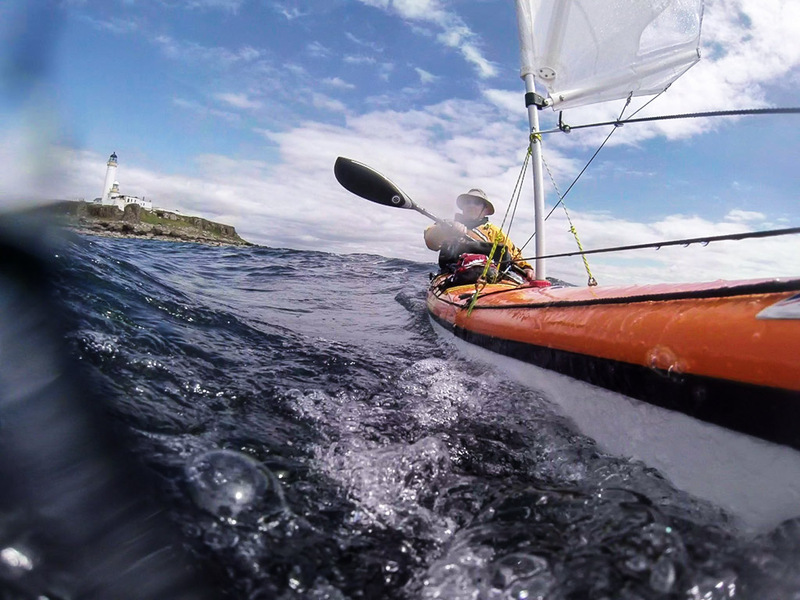 In Europe they are available from Kari-tek and P&H also supply their sea kayaks with sailing rigs.